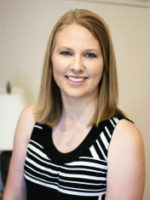 Ashley Scharlow may be a newly licensed agent, but she is not new to the real estate business. She worked as a Marketing Director for a top selling Real Estate team for 9 years. She is excited to now be working directly with clients to help them get their home sold and find a dream home for themselves and family. Ashley grew up in Henry County on the Strickland Farm in McDonough/Luella. She and her husband are now raising 3 children here as well.